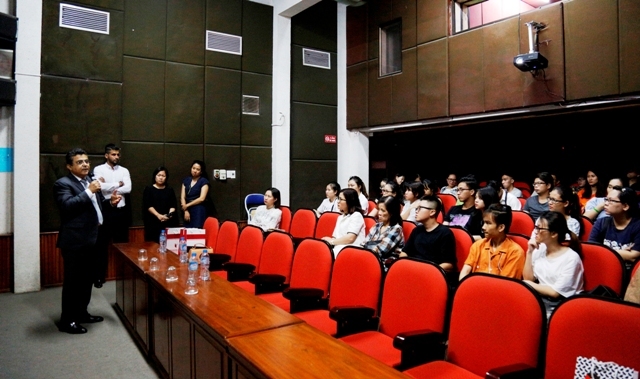 Ambassador Saadi Salama visited Hanoi Academy of Theatre and Cinema yesterday. 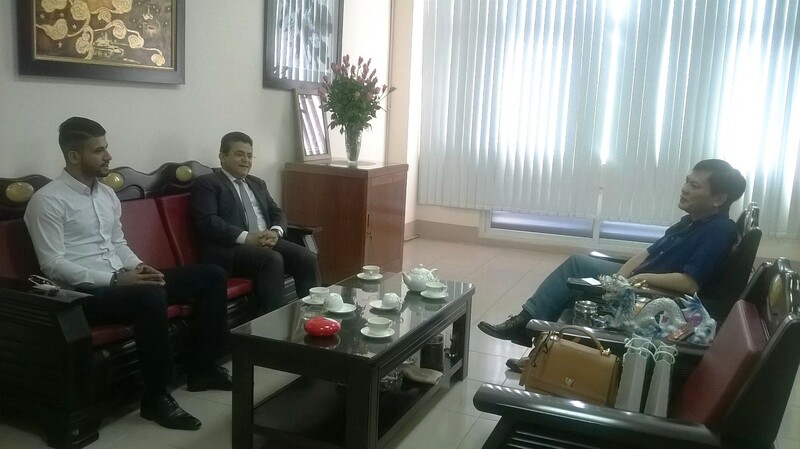 He met and discussed with Asso. 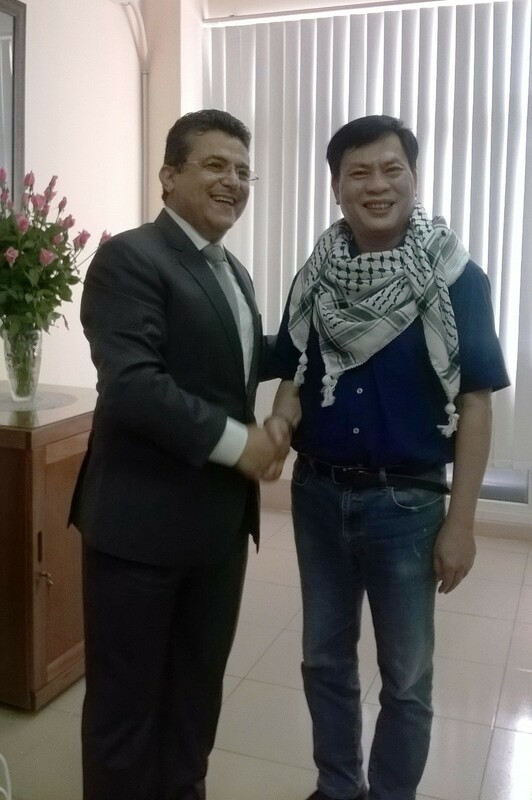 Prof. Dr. Nguyen Dinh Thi, Director of the Academy. 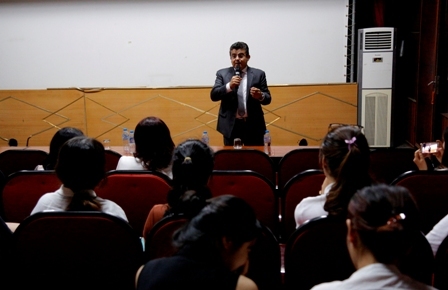 After that, Ambassador Saadi Salama joined the screening of the Oscar-nominated documentary “Five Broken Cameras” by Palestinian director Emad Burnat and had a talk with teachers and students of Hanoi Academy of Theatre and Cinema.